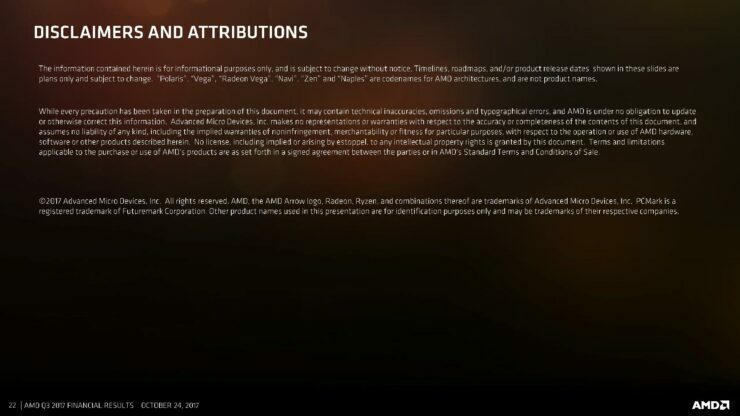 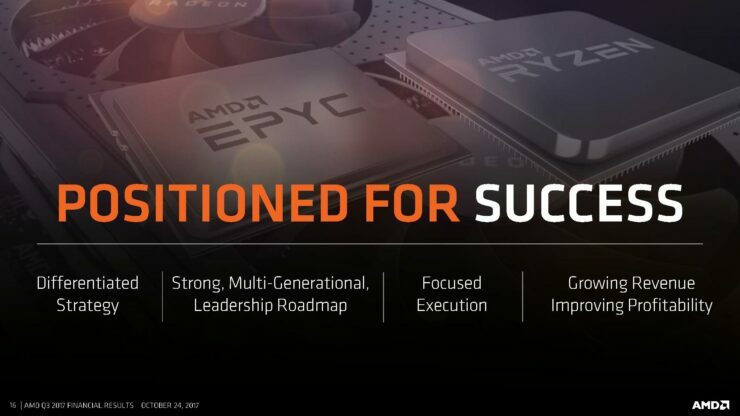 This is the moment a lot of followers of AMD have been waiting for. 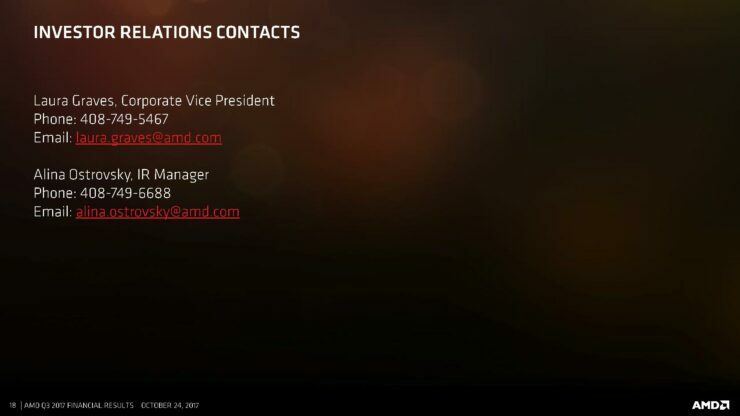 The sweet moment that a lot of its employees have been working towards. 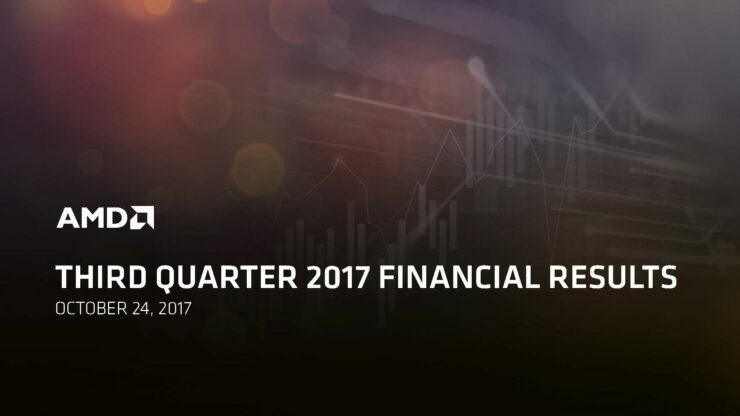 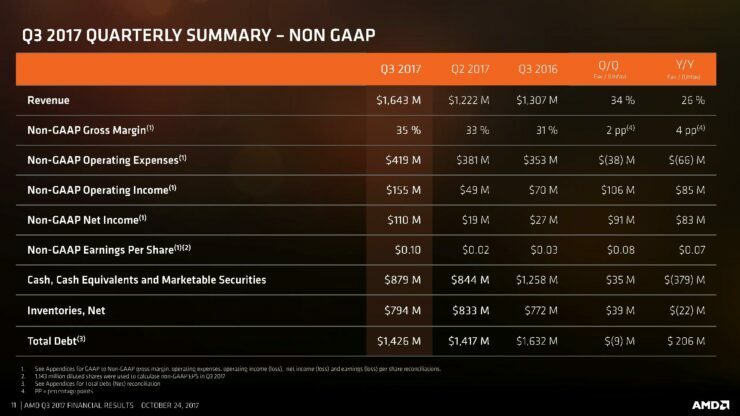 AMD is a profitable company once more. 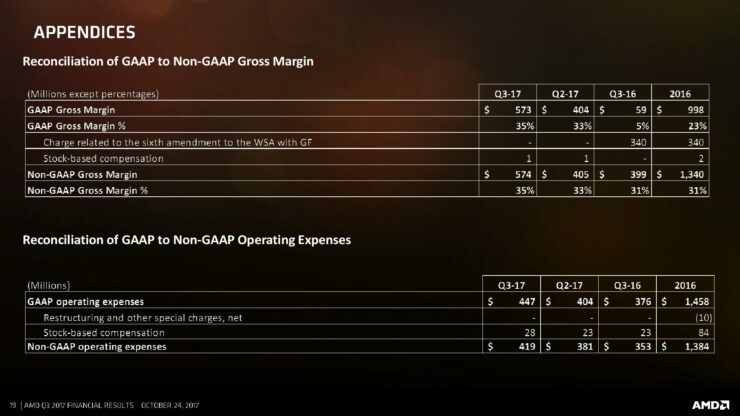 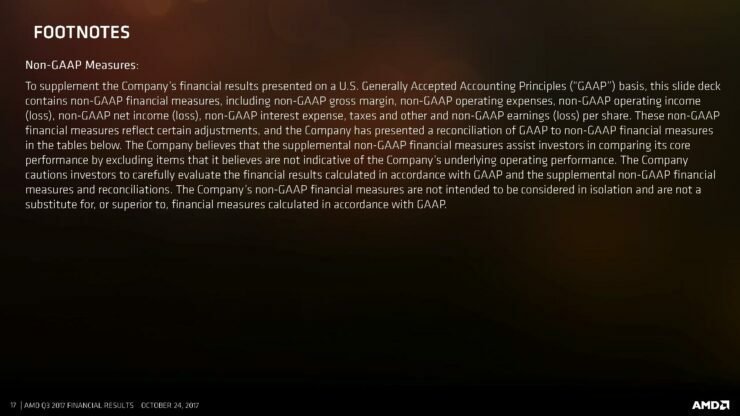 In its third quarter results for 2017, the company posted a non-GAAP EPS of 10 cents and a GAAP EPS of 7 cents on revenue of $1.64 Billion, which exceeds analyst expectations by roughly $139 Million. 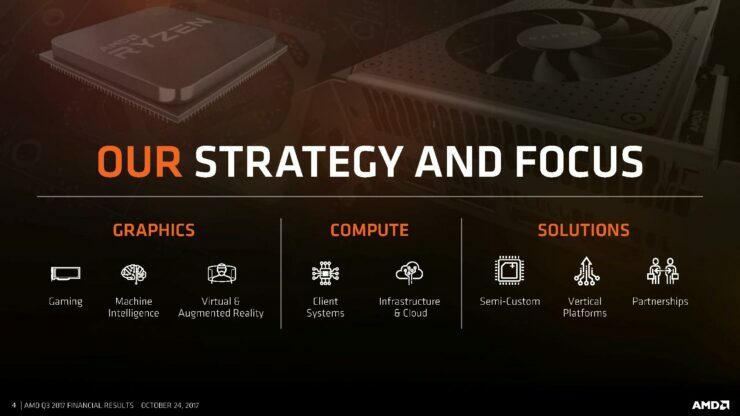 The company intro-ed their brand new x86 product, Threadripper as well as Vega line of GPUs. 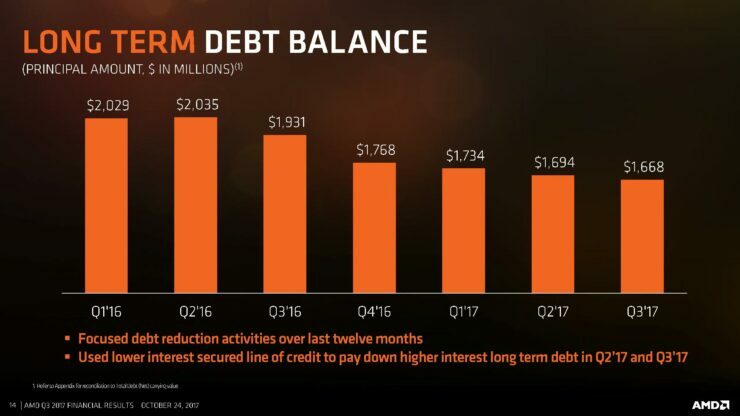 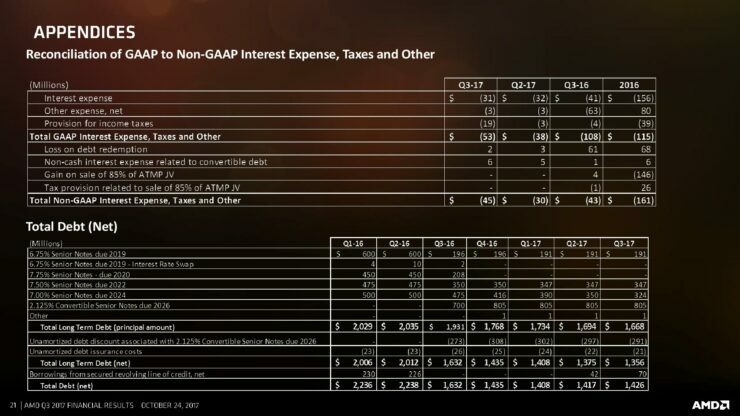 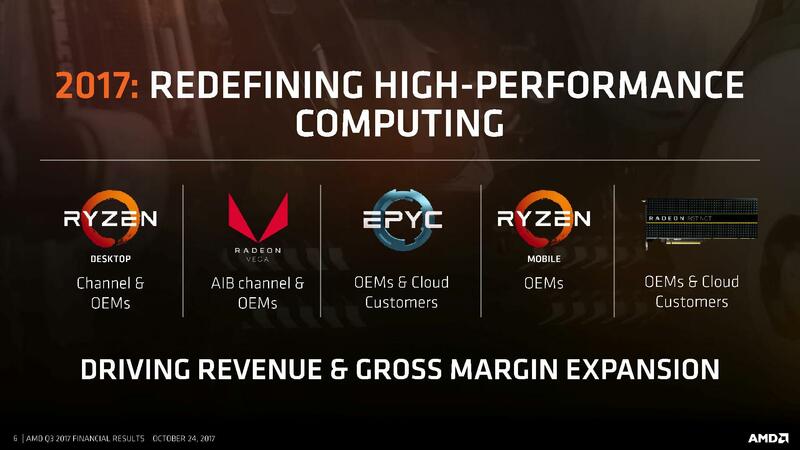 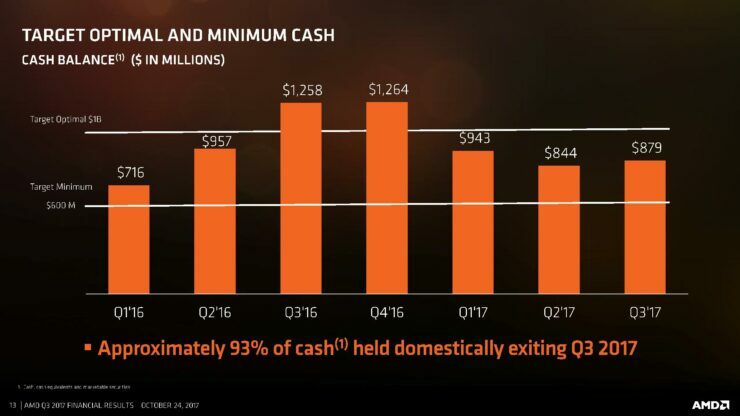 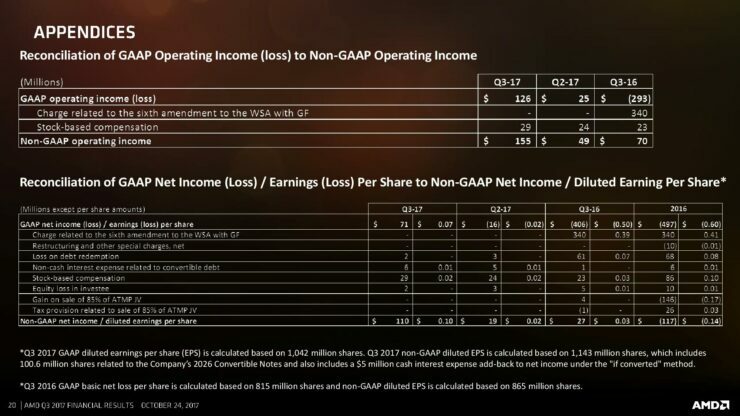 Since this marks the first real revenue quarter for these products and AMD’s anxiously awaited x86 comeback, it is little wonder that we are seeing results this good. It is almost certainly, AMD’s moment of triumph. 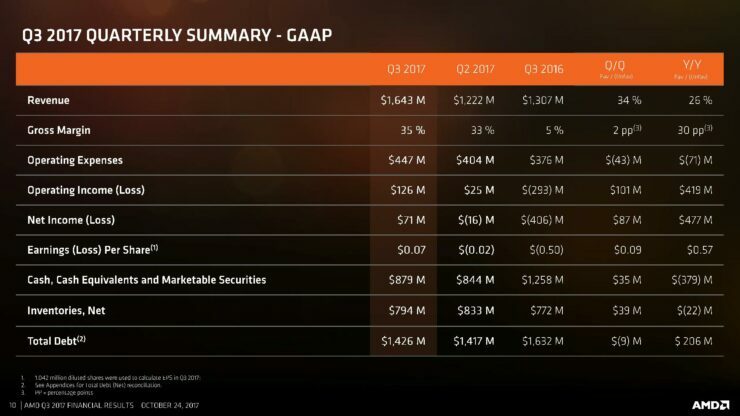 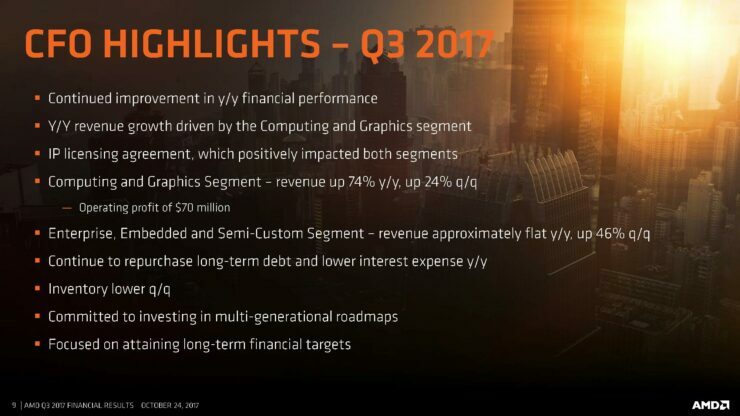 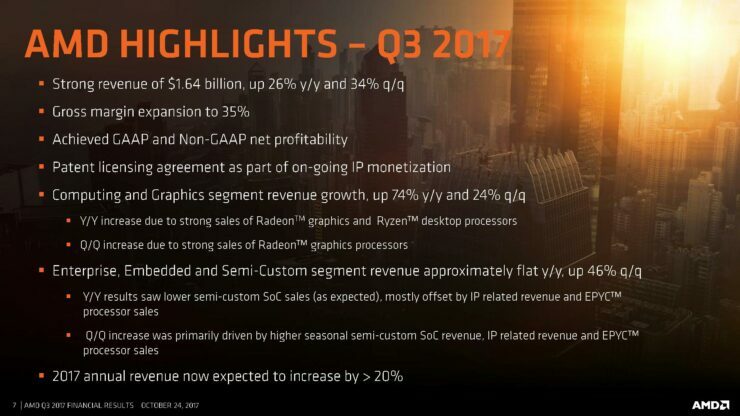 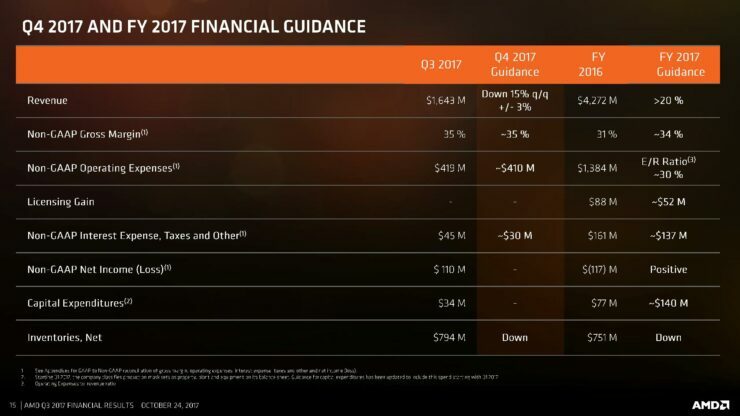 Computing and Graphics segment revenue was $819 million, up 74 percent year-over-year primarily driven by strong sales of Radeon graphics and Ryzen desktop processors. 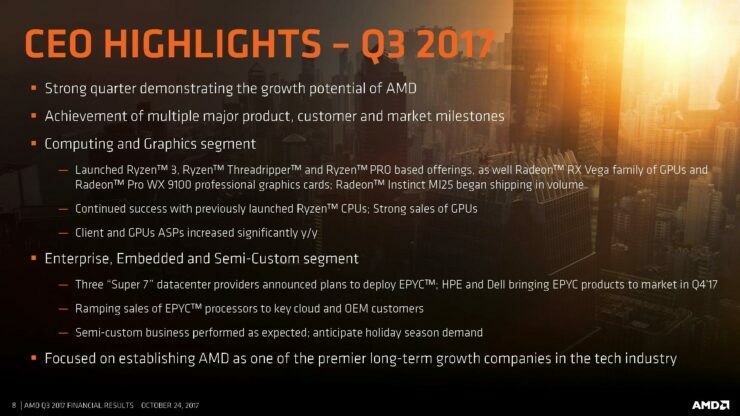 Client average selling price (ASP) increased significantly year-over-year, due to higher desktop processor ASP driven by Ryzen processor sales. 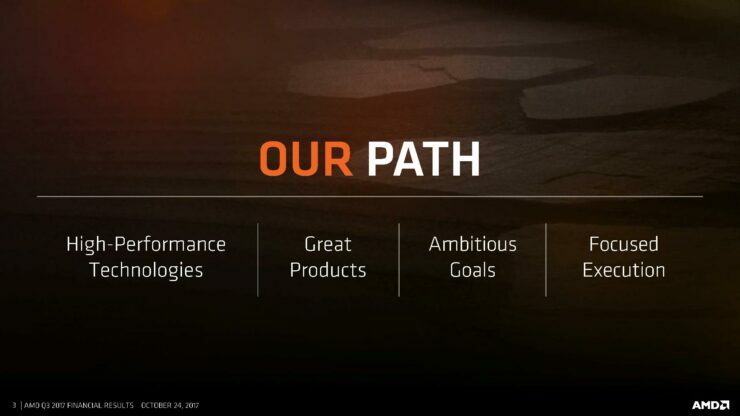 Operating income was $70 million, compared to an operating loss of $66 million a year ago. 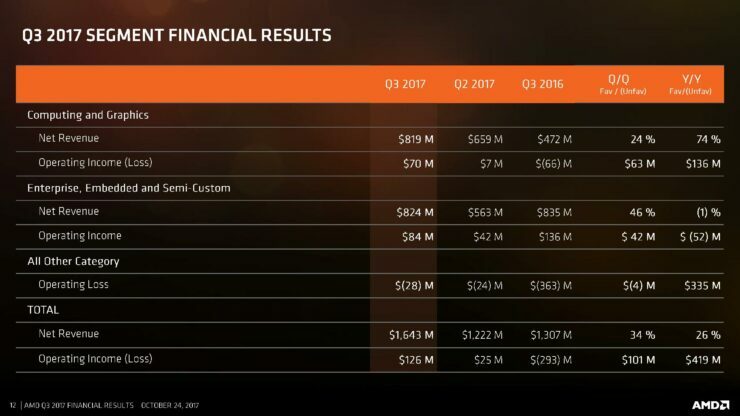 Enterprise, Embedded and Semi-Custom segment revenue was $824 million, approximately flat year-over-year primarily driven by lower semi-custom SoC sales, mostly offset by IP related and EPYC processor revenue. 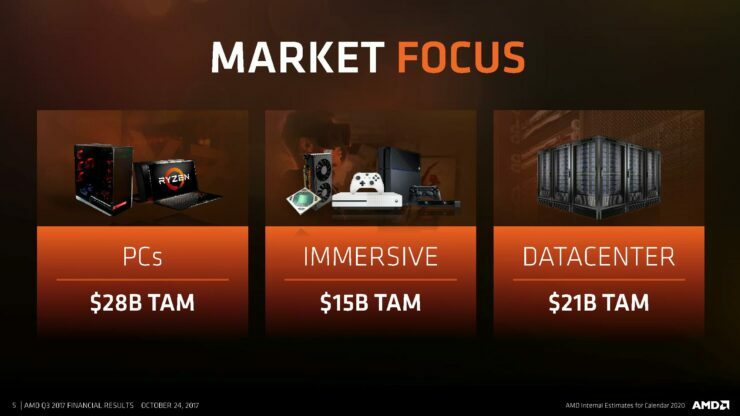 We will be following this up with a detailed breakdown soon – so stay tuned!